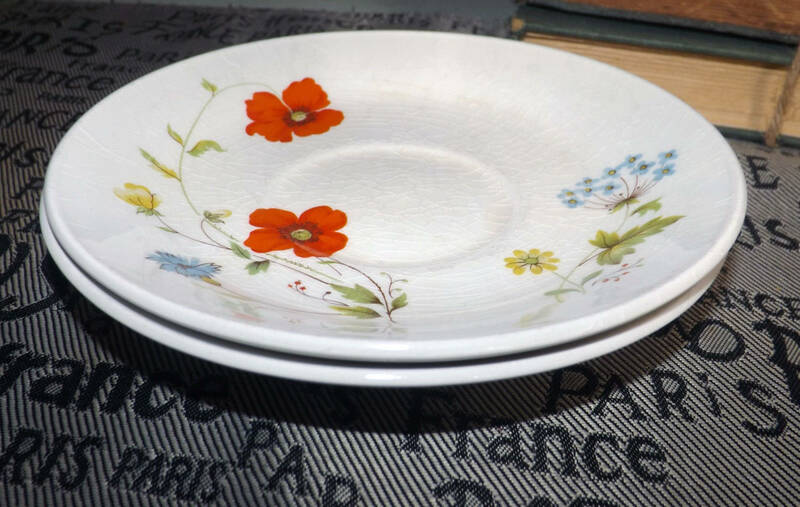 Vintage (1970s) Johnson Brothers Summertime pattern orphan saucer. Red, blue and yellow flowers. 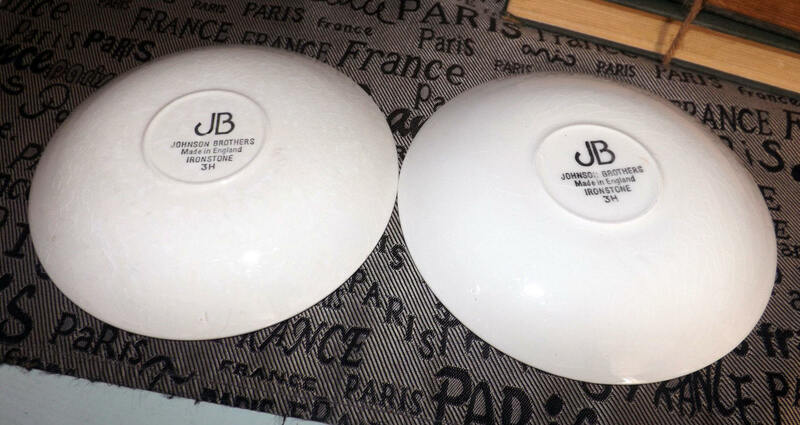 Vintage (1970s) Johnson Brothers Summertime pattern orphan saucer (NO! cup). 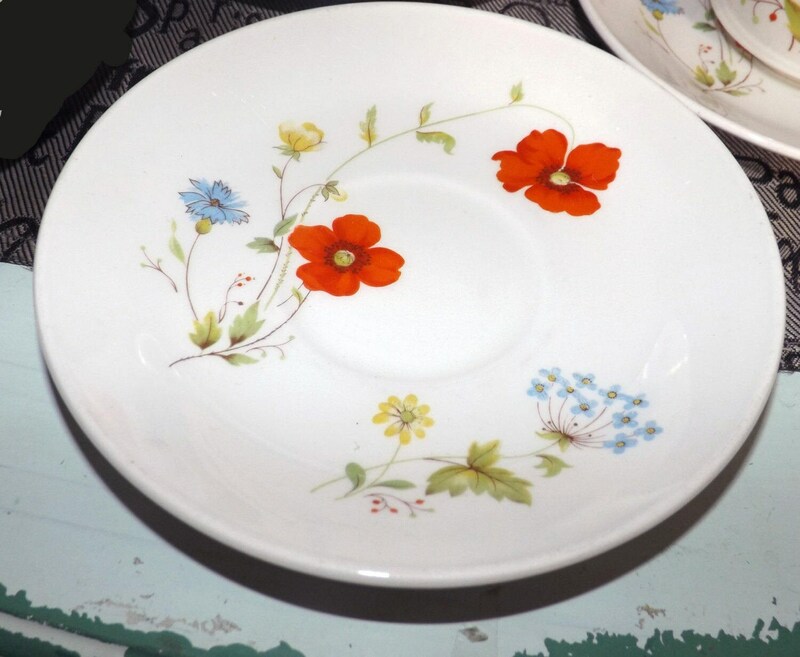 Made in England, Summertime is now a very hard-to-find pattern Johnson Brothers pattern featuring multicolor flowers in predominant tones of red, blue and yellow set against a pure white ground. In GOOD! vintage condition with NO! chips, nicks, cracks, or fleabites and NO! marks or stains. There is, however, SIGNIFICANT! crazing and one or two LIGHT! scratches to the red, blue and yellow florals. The flowers are still bright and vibrant with LITTLE TO NO! fading apparent. Approximate measurements: 6-3/8" in diameter. THIS LISTING IS FOR ONE (1) ORPHANED SAUCER. Currently, more than one saucer is available in the shop.